KYIV. July 2 (Interfax-Ukraine) – Bank Khreschatyk (Kyiv) plans to increase its charter capital by 2.5 times or UAH 1.5 billion, to UAH 2.529 billion via an additional issue of shares. The bank said in a press release that its shareholders will discuss the issue at a general meeting scheduled for September 4. As reported, at a general meeting held on April 21, the bank’s shareholders approved the results of the 10th issue of shares: the bank’s charter capital was increased by UAH 200 million or 24.1%, to UAH 1.029 billion. Bank Khreschatyk was founded in 1993. The main financial department of Kyiv City State Administration as of early April 2015 owned a 24.9397% stake in the bank, Ukrfinkom 37.4427% and Market Invest Group Ltd. 21.032%. 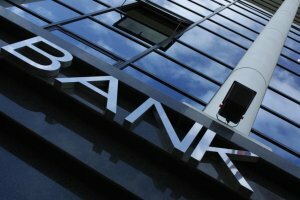 The bank ranked 19th among 133 operating banks as of April 1, 2015, in terms of total assets worth UAH 10.278 billion, according to the National Bank of Ukraine. KYIV. 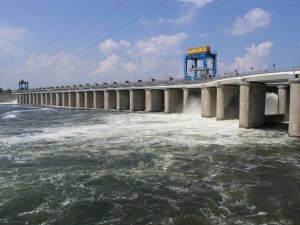 July 2 (Interfax-Ukraine) – The European Investment Bank (EIB) is mulling the provision of EUR 400 million to public joint-stock company Ukrhydroenergo to build the Kaniv hydroelectric pump-storage plant, the bank said in a post on its website. The total cost of the project is EUR 1.283 billion. As reported, Ukrhydroenergo plans to raise 70% of the funds to be used to build the plant from four banks – the EIB, the World Bank, the European Bank for Reconstruction and Development (EBRD) and Deutsche Bank. The capacity of Kaniv hydroelectric pumped storage power plant will be 1 GW in generating operations, its construction will take six and a half years, and the payback period is about ten and a half years. KYIV. July 2 (Interfax-Ukraine) – The European Bank for Reconstruction and Development (EBRD) is ready to discuss Ukraine’s proposals to help the country conduct privatization, and is also ready to assist regarding supplies of natural gas from the European Union, EBRD President Suma Chakrabarti told reporters after a meeting with the Ukrainian president and prime minister in Kyiv on Wednesday. “As I told the president, we want to provide large aid to Ukraine in the privatization issue, but we should clearly know what will be sold, in what order and over what period,” he said. Chakrabarti said that the bank has drawn up a large study on privatization in many countries of the region, and its aid on the issue could be effective. When asked about gas supplies from Europe, the EBRD president said that in 2014 the bank decided not to support gas supplies from Slovakia to Ukraine. “We’d like to help so that gas is supplied from the EU,” he said. 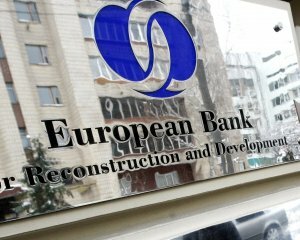 Chakrabarti said that EBRD is also interested in continuing cooperation with Ukraine in the power sector, in particular, the bank is ready to discus its participation jointly with the European Investment Bank (EIB) in a project to construct the Kaniv pump-storage plant. “I will ask that in the future support is provided to the project,” he said. He said that there are many opportunities for investing in Ukraine in other sectors, especially in agriculture. Commenting on the situation in the banking system of Ukraine, Chakrabarti welcomed the work of the National Bank of Ukraine (NBU) to cleanse the system, the reduction of the number of banks from 170 to around 150 thanks to the withdrawal of financial institutions that belonged to corrupt oligarchs who used them as purses and did not take into account the interests of citizens. He said that reforms in the banking area should continue, the sector should be additionally capitalized and only strong banks that are not affiliated with corrupted oligarchs should remain on the market. KYIV. 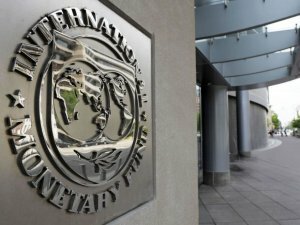 July 1 (Interfax-Ukraine) – Ukraine has fulfilled virtually every requirement of the International Monetary Fund (IMF) for the second tranche under the Extended Fund Facility (EFF) program, according to Vice Governor of the National Bank of Ukraine (NBU) Dmytro Solohub. “We’re glad to see further financial stabilization. We’re glad that Ukraine has fulfilled almost all the requirements of the International Monetary Fund, and there will be a meeting of the IMF Executive Board very soon,” he said at a press conference on Wednesday. According to him, Ukraine is meeting its obligations to international donors, and the reforms stipulated in the EFF are being implemented. As reported, Finance Minister Natalie Jaresko said in the middle of June that she was expecting a decision from the IMF on the allocation of $1.7 billion in the second tranche under the EFF in the middle of July. KYIV. 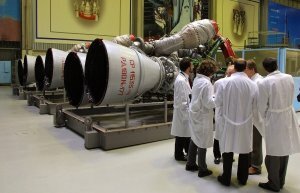 July 1 (Interfax-Ukraine) – State enterprise Pivdenne Design Bureau (Dnipropetrovsk) is working on a plan to establish cooperation with the United States in building rocket engines, Pivdenne CEO and Chief Designer Oleksandr Dehtiarev has said. The Ukrainian developer is ready to become a partner in the project initiated by the U.S. government to build rocket engines to replace the Russian built RD-180 used in American carrier rockets. He said that over the past five years, Pivdenne has been developing liquid-propellant rocket engines for the first stages of carrier rockets that could be effectively used in U.S. carrier rockets. “The in-depth case study of the U.S. market showed that it is advisable to create a new powerful engine with a drive of 250 tonnes and ligaments for engines with a drive of 500 tonnes and higher,” he said. “Today the bureau is in negotiations with a number of potential customers and investors from the United States who are interested in this initiative. According to our estimates, this engine could be developed and tested as early as 2019,” Dehtiarev said. “The U.S.’ interest in Ukrainian engines is explained by the fact that for several reasons American aerospace companies try to get away from the use of Russian RD-180 engines in U.S. carrier rockets. Currently the U.S. government allocates large sums to seek alternative engines,” he said. KYIV. 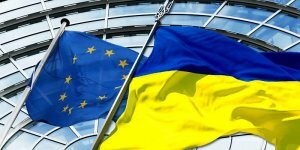 July 1 (Interfax-Ukraine) – Ukrainian President Petro Poroshenko has said that the country has received large aid since the signing of the Ukraine-EU Association Agreement and expressed hope that cooperation with the EU would be expanded. “In the past year Ukraine has received the biggest-ever aid from the EU: three macrofinancial aid programs to support macroeconomic stability of the state (around EUR 3.4 billion), humanitarian aid for Ukrainian citizens displaced from the temporarily occupied territories and districts where the antiterrorist operation (ATO) is being conducted (around EUR 139 million) and aid to restore the infrastructure of Donbas; grant aid to develop the state, technical aid under over 200 EU projects in various areas of civil life and public administration,” the president said in a statement on the occasion of the anniversary of signing the Ukraine-EU Association Agreement. Poroshenko said that this aid from the EU is the source of energy of European changes that are happening in Ukraine. “We expect that cooperation under all the EU programs will be continued and expanded,” the president said.